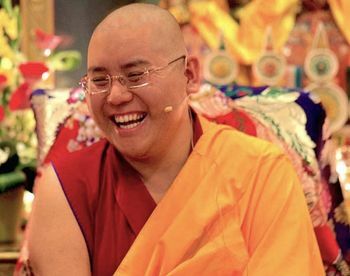 Ling Choktrul Rinpoche aka 7th Kyabjé Yongzin Ling Rinpoche (b. 1985) — an important lama of the Gelugpa school, born in India and recognized at an early age by His Holiness the Dalai Lama as the reincarnation of his own Senior Tutor, the 6th Kyabje Yongzin Ling Rinpoche. This page was last edited on 16 January 2019, at 20:22.